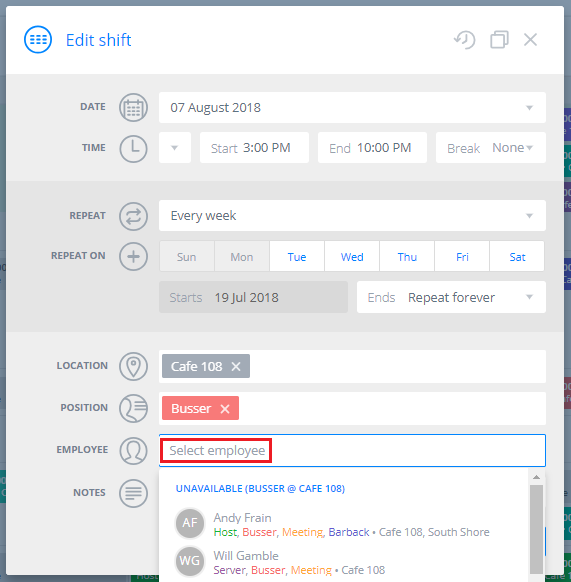 Can I reassign recurring shifts to a different employee? Yes, a recurring shift can be transferred. First, click on the first shift in the recurrence the change should apply to. 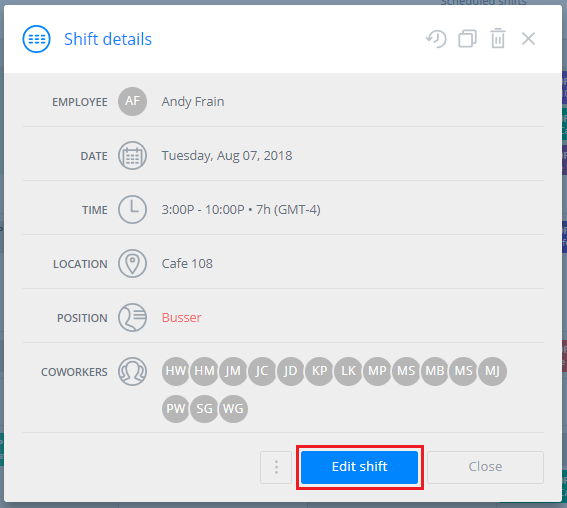 In the shift details window that pops up, click the Edit shift button. 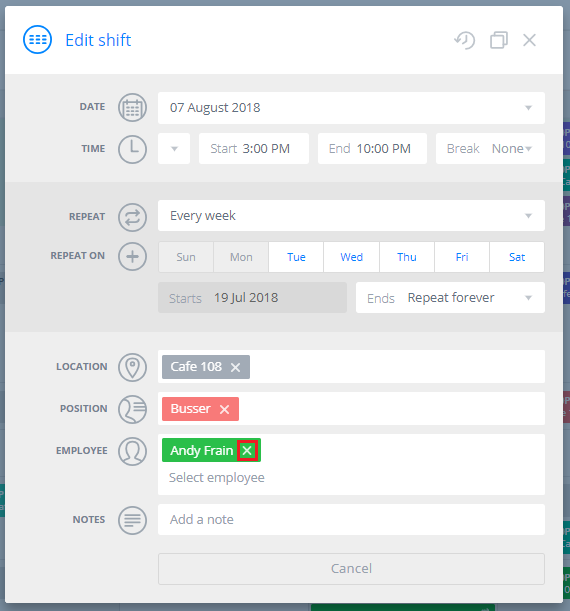 On the next screen, click the small “x” by the assigned employee’s name to remove them. Click in the Employee field again to choose a new assignee. 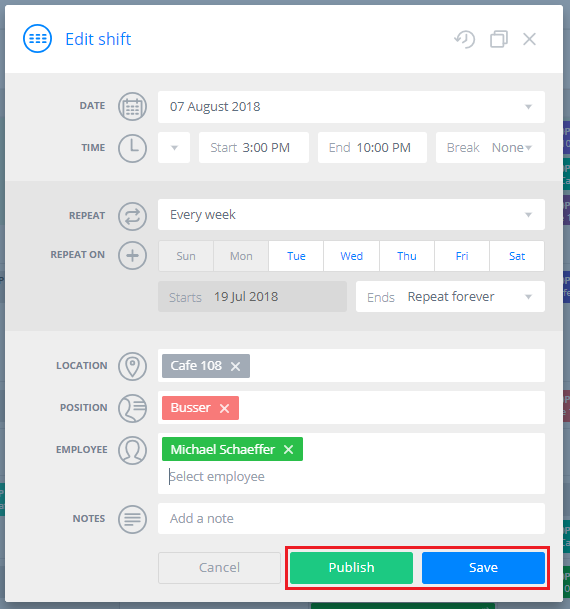 Next, click Publish (notifies employees of the change) or Save (makes the changes unpublished and only visible to you, while the original shift is still visible to employees). You will then get a prompt asking whether to apply the change to just this shift or all future shifts. Select All future shifts and they will all be reassigned.